After four years of successful worker management, a federal court issued a 30 day eviction notice to the workers of the hotel on July 20. However, this is the first court ordered eviction that the workers cooperative has had to fight. Argentina's recuperated enterprises are mobilizing to fight this new attack against workers' determination. If the workers do not successfully block the eviction order legally or through political actions the hotel could be lost and 150 workers out of a job. After the hotel's 2001 closure, left with no other option, on March 21,2003 the workers decided to take over the hotel to safeguard their livelihood and defend their jobs. Since 2003, workers have operated the BAUEN cooperative hotel, a 20 story building in the very heart of Buenos Aires. The BAUEN cooperative, like many of the recuperated enterprises was forced to start up production without any legal backing whatsoever. The BAUEN Hotel workers' cooperative currently employs more than 150 workers, all working without bosses, supervisors or owners but instead within a democratic workplace. The BAUEN Hotel was inaugurated for the 1978 World Cup, during the height of the military dictatorship. As the military dictatorship disappeared 30,000 workers, students and activists inside a network of clandestine detention centers, Argentina celebrated the 1978 world cup victory. Hotel BAUEN's original owner, Marcelo Iurcovich, celebrated as well. He received more than five million dollars to construct the 20-story hotel, with a government loan from the National Development Bank (BANADE), with the military dictatorship's blessings. Iurcovich, never held the hotel up to safety inspection codes and never paid back state loans. He ran up debts and committed tax evasion while making millions of dollars in profits and acquiring two more hotels. In1997, Iurcovich sold the hotel to the business group Solari S.A. The Solari group followed in Iurcovich's footsteps, never paying the BANADE debt. With little interest in the profitability and maintenance of the hotel, the installations at the BAUEN deteriorated until the Solarigroup filed bankruptcy in 2001. On December 28, 2001, after the management began systematic firings and emptied out the hotel, the remaining 80 workers were left in the streets in the midst of Argentina's worst economic crisis and when unemployment hit record levels-over 20% unemployed and 40% of the population unable to find adequate employment. Gabriel Quevedo, president of the BAUEN cooperative says that the workers created jobs when investors and industrialists were fleeing the country. "The workers took on responsibility when the country was in full crisis and unemployment over 20 percent, where workers couldn't find work. 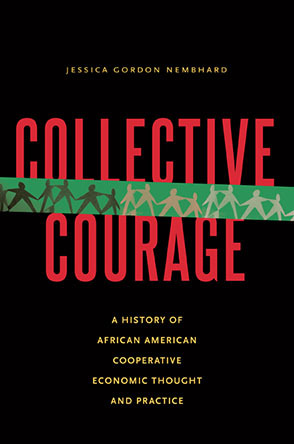 The workers formed a cooperative and created jobs, when no one believed that it was possible." In the aftermath of the 2001 economic crisis, more than 180 factories and businesses have been recuperated by the workers and today provide jobs for more than 10,000 Argentine workers. Arminda Palacios is a seamstress who has worked at the hotel for over 20 years and was one of the key people who decided to cut off the locks on a side entrance into the hotel on March 28, 2001. She defines the BAUEN hotel as simply more than a cooperative that defends jobs. "Socially we have proved to the people that workers can run a business. This is one of our main motives, because people believe that the capitalists are the only ones who can run a business, and we are proving the contrary especially since we've created 150 jobs." When the workers first occupied the hotel, it was in ruins. It wasn't until nearly a year after they occupied the hotel that they were able to begin renting out services. Before the workers took home a single paycheck, they reinvested all capital back into the hotel. They have invested hundreds of thousands of dollars into the hotel's infrastructure: renovating the front cafe, hotel rooms, fire proofing salons and reopening the pool area. Elena is a receptionist in her late 20's, who says she and her fellow workers have sacrificed a lot to defend their jobs. "They didn't have to throw us out into the streets on December 28, 2001, because the hotel had enough business, but the businessmen allowed the hotel to go to ruins and we had to leave. We have renovated the hotel and successfully opened up a hotel that was closed. Now that they see that the hotel is successful, they want to take it away from us." In addition to creating jobs, the BAUEN hotel has become a key organizing space for activists around the city. During an assembly on July 23, workers from all around the country came to show their support. "Without the BAUEN, our internal union commission wouldn't have formed," one worker from the Buenos Aires casino said. Dozens of other workers representing emerging rank and file unionists stressed the importance that BAUEN has had on organizing and coordinating workers' struggles. On a local level, BAUEN Hotel has become a prime example of coalition building and development of a broad mutual support network. In the midst of legal struggles and successfully running a prominent hotel, the cooperative's members haven't forgotten their roots. The 19-story worker run hotel has become a political center for movement organizing and a modern day commune. The court ordered the eviction notice in favor of the Mercoteles business group, which claims to have purchased the hotel from Solari in2006, when the BAUEN workers cooperative was already inside the hotel administering services. The president of Mercoteles, Samuel Kaliman, is Iurcovich's brother in law. In court last year, Kaliman was unable to provide the court with Mercoteles' address, board member names and other legal information. Legal advisors and the workers suspect that the Mercoteles is a ghost business group with little legal legitimacy and ties to the Solarigroup. According to Isabel Sequeira, in her 11 years working at the hotel under a boss she had seen many questionable administrative changes. "Mercoteles is a ghost company. When I worked at the hotel under bosses there were many sneaky administrative changes. We had many 'bosses' that changed on a regular basis." The Hotel workers also face another bigger challenge, a newly elected right-wing mayor, Mauricio Macri. Macri, a business tycoon and son of privatization, won the city-wide elections in June. As part of his campaign, he has promised to clear out any 'okupas' or "squats" in the city. In the week that the BAUEN hotel received the eviction notice, more than 12 housing squats in the city were forcefully evicted. Macri will take office in December. When the eviction notice came, the hotel was booked for winter break vacation. The notice couldn't have come at a worst time. However, workers and supporters have mobilized fast. In front of the Buenos Aires central courts on August 5 nearly 2,000 came out to defend the hotel. The workers cooperative presented an appeal and will continue to lobby for the definitive legal right to the hotel. "We believe that fighting within the legal system isn't enough. That's why we are prepared to fight in the streets, where we are stronger,"said Fabio Resino, a legal advisor at the hotel during an assembly. "We ask social organizations to take on the fight for BAUEN as a fight of their own, because the BAUEN hotel belongs to the people." The BAUEN workers' cooperative has embarked on a national campaign to defend their hotel and jobs. The campaign is gaining steam as the eviction date nears in late August. Groups have planned a series of concerts and rallies with rock stars and other television personalities supporting the workers for the legitimate right to defend their livelihood. Marie Trigona is a writer, radio reporter and filmmaker based in Argentina. She can be reached at mtrigona (at) msn (dot) com. To watch a video on the BAUEN struggle visit http://www.agoratv.org.